Hudson Canola is a standard edible vegetable grade oil, a light oil with neutral taste and flavour. Hudson Canola can be used for all types, methods and varieties of Indian cooking: frying, roasting or grilling. Canola is neutral in flavour and aroma with no distinctive taste or smell. Canola Oil is extruded from the seeds of the yellow Canola flower. Canola Oil has the lowest saturated fat amongst all oils, very high monounsaturated fat, very high Omega-3 and rich Vitamin-E content. Hudson Canola Oil® comes to you directly from the finest, most sophisticated facilities in the Prairie regions of western Canada, where canola was first discovered. Hudson Canola is brought to you by Dalmia Continental, owners of Leonardo Olive Oil®. Canola oil has its own health benefits like low in saturated fat and contains both omega-6 and omega-3 fatty acids in a ratio of 2:1. If consumed it also reduces Low-density lipoprotein and overall cholesterol levels, and as a significant source of the essential omega-3 fatty acid is associated with reduced all-cause and cardiovascular mortality. Canola oil has been given a qualified health claim from the United States Food and Drug Administration due to its high levels of cholesterol-lowering fats. Source information:here. Lowest saturated “bad” fats and very high monounsaturated “good” fats, along with high Omega-3 content, have made Canola oil the world’s leading new heart-care oil. I have already been sent a sample pack and you can see my review here. I have been using it in most of my cooking and the results have been great. Hudson Canola can be used for all types, methods and varieties of Indian cooking: frying, roasting or grilling and even in baking as I did!!! > Cook something healthy and link below. It could be from your archives too. Any number of posts per person. > The event will run from today (21st March 2013) and will be closed on 20th April 2013. > Using the event poster is mandatory as it helps spreading the word. > 10 winners will be chosen by random.org. Once announced, make sure that the winner provides the valid email address so that we can get in touch with you. Every comment that you leave telling that you have done any of the above will add to your winning chances. So why wait, participate and win some healthy hampers. where is this gfc? !!! Its Google friend connect dear..
subscribed with tamilsamayaldiary at gmail.. already following throu fb and gfc !! Nice giveaway dear..will try to participate! Will try to send some Vimitha..
Nice event Vimitha, Will surely participate. Hi dear, Iam linking some of my recipes, please do check. What is the RSS feed, I am already following you in google & face book dear. One more thing, some how I missed out this event, I saw it only today. So I am linking my healthy recipes that I made in the month of March. Nice one Vimithaa..Happy Hosting dear. Nice event and give away..Try to link soon. nice giveaway. WIll try to participate. I have shared it on my wall on Facebook.. I was already following you. Will try to link more recipes soon. I have also shared it on Google+ and twitter. I've recently started using canola oil for cooking, it's great and it's healthy! lovelhy event Vimita. Yet to start canola oil for our cooking. This will be an inspiration! Lovely giveaway Sis..sure will link my entries. What a fun contest! Wish I lived in India--for any number of reasons. Nice Giveaway sister...Linked my 1st entry. Share it on FB wall also..
Good luck for the nice event. I have linked my recipe. Hi Vimitha, just linked my recipe to your event 'ragda patties'. I followed you through GFC, fb, subscriber, named Sanoli Ghosh. Please check it dear, will link more recipes soon. Linked my recipe and will be tagging more. Following on GFC as Chaithra. Already your GFC follower!! Am your new FB follower. Have linked my Gulabjamun Cheesecake recipe. Vimitha please correct the entry no - 258. Original name - Raw Mango Panna instead of Ripe Mango Kosambari. This is a nice event and wish u success. FOllowing u on FB,GFC anf RSS feeds. Thank you so much for your impressive product review and tying up with Hudson! Your Eggless Chocolate Banana Bread looks absolutely delicious! 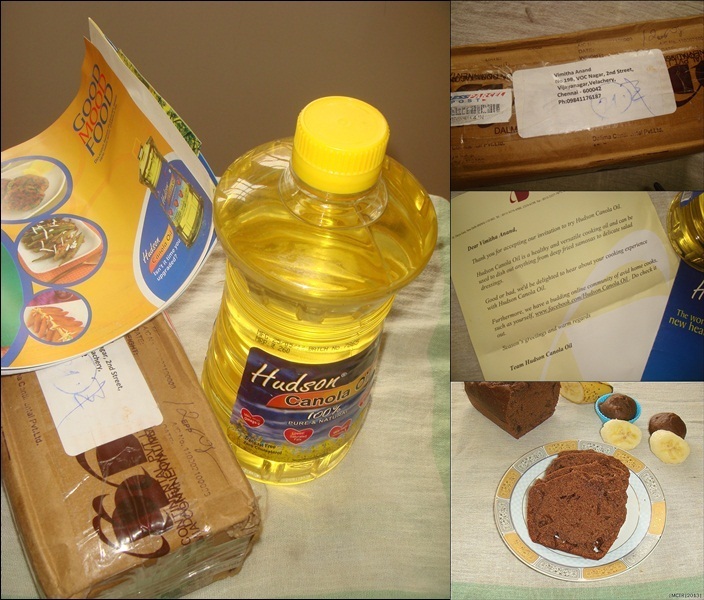 It makes us very happy to know that you were able to fulfill your dream of baking with Canola oil! Hudson has something more for you with a newly launched food blog: www.hudsoncanola.com/blog. 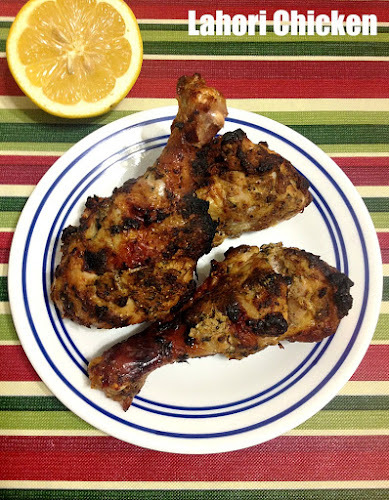 Do visit the blog to find many more recipes you can bookmark and try! We would also like to feature your bread recipe among others you may have tried on our site! If you find that Hudson's blog is something you like, then feel free to post a link to it on your own blog as well!